You almost have to respect the developers of Game of Thrones Ascent, a free-to-play role playing game based on HBO's uber-popular dark fantasy series. It takes real guts to make a text-based game these days, especially one that's clearly aiming for a wide audience. 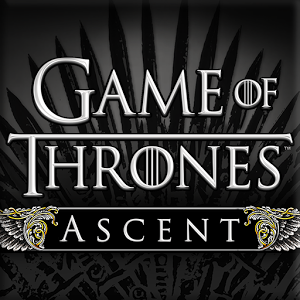 And despite the pretty backgrounds and sweeping music, that's what Ascent is: a text-based adventure game, set in the unforgiving and ruthless lands of Westeros. It's a free download in the Play Store. You start off by creating a character who's in charge of his or her own House, pledged to one of the major players in the fictional kingdom. 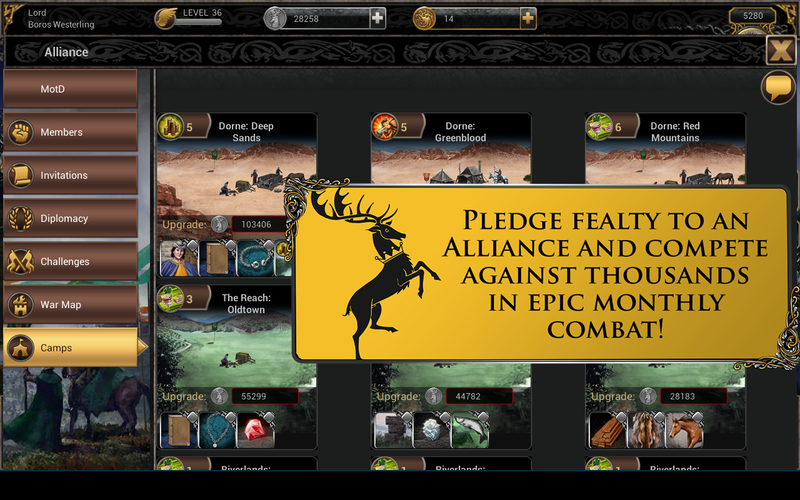 While you technically owe fealty to your lord, the only real goal is to amass as much wealth and power as possible while advancing through the story. 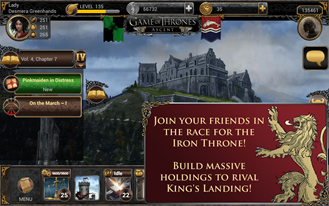 You can do this via trade, military might, or Littlefinger-style backstabbing, interacting with the various characters and alliances from the show as the story progresses from roughly the first season. The developers clearly have a reverence for the source material, as each location and major plotline is painstakingly detailed. If you're hoping for the action-packed thrills of a late season episode, look elsewhere - the game is all about reading everything and making the right choices. 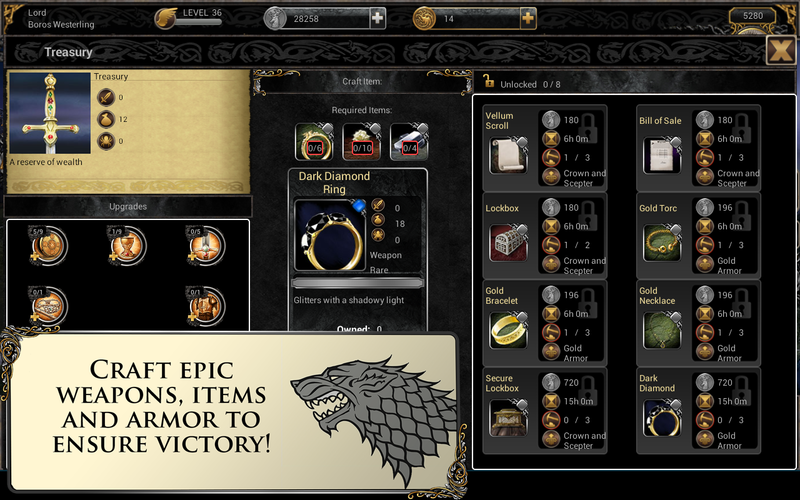 Basic crafting, hero recruitment, and guilds are also included. 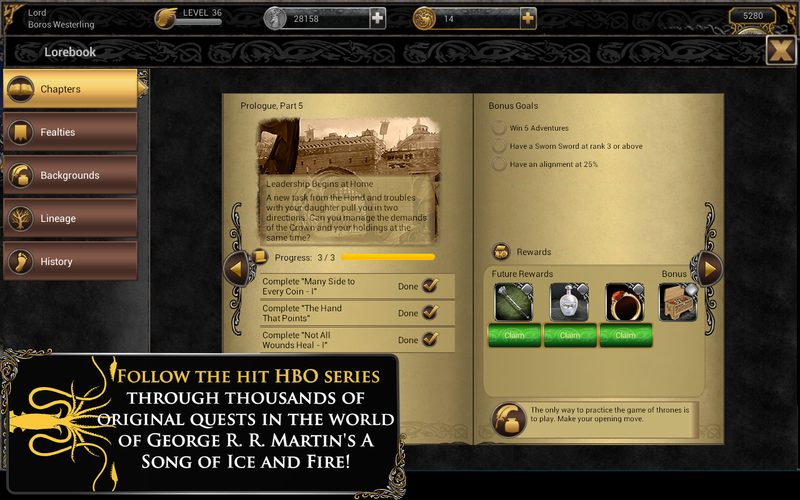 All that being said, Game of Thrones Ascent is free-to-play, with the usual trappings therein. Currency for building up your city or army comes in silver and gold, the latter of which is much more scarce, and you'll have to pay extra to speed up the artificially-inflated action timers. Naturally you can pay real money for fake coins, turning what could be a deep RPG experience into a cost-benefit equation. The problem is exacerbated by a semi-competitive multiplayer system inherited from the browser and iOS versions. 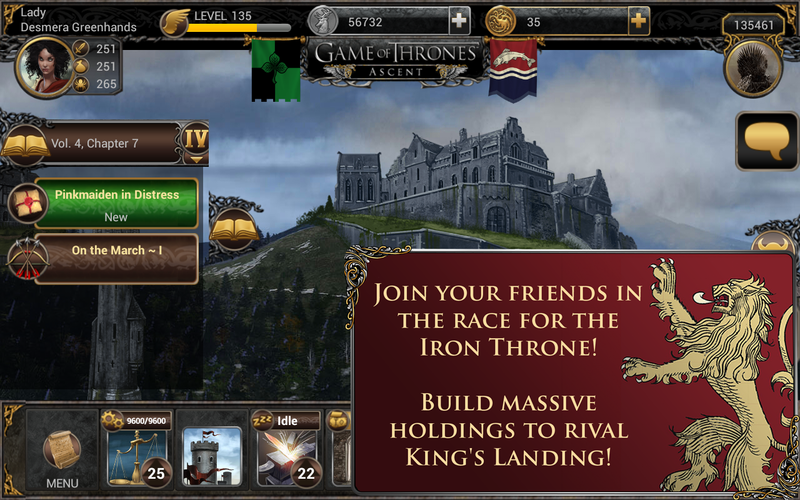 That means that whoever currently occupies the Iron Throne probably had to pay enough to buy Casterly Rock to get there. 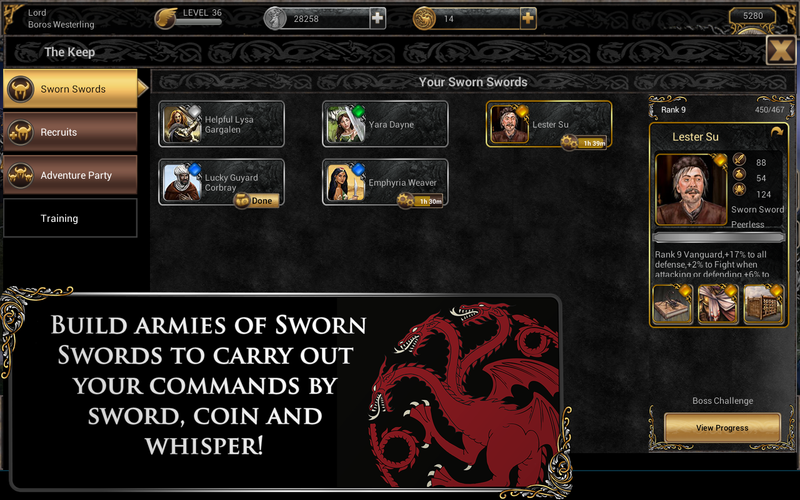 Fans desperate for new Game of Thrones material might get a kick out of Ascent, but your time (and money) might be better spent by simply buying the Song of Ice and Fire e-books in the Play Store.